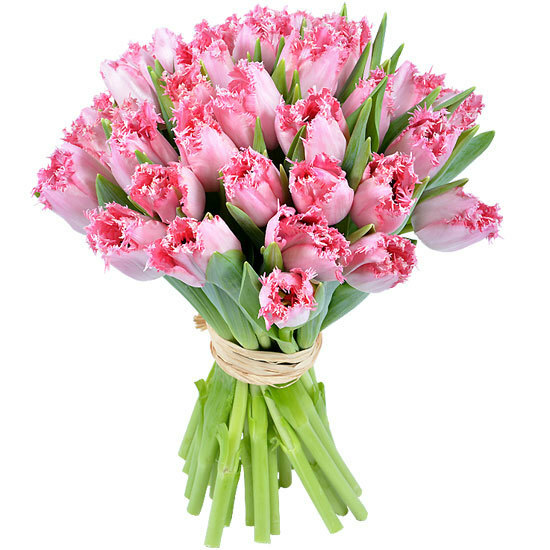 We're sure you'll love these freshly cut tulips arranged in exceptional bouquets of 30 or 40 stems! This fringed 'Santander' variety will brighten your home with its beautiful shades of pink and round, generous flowers. These long-lasting tulips will need just a little water in the bottom of your vase to grow and curve into romantic new forms as they develop. These carefully selected tulips are amongst the first to flower every year.